April: a time for spring Easter egg hunts and also for the most mischievous among us to prepare the tricks we will play on unsuspecting friends and family. Throughout the month of April, Superior, 24VIP and 888 Tiger Casinos will be celebrating with a Easter Special Match Bonus plus Free Spins on the charming Eggstravaganza Slot. Also, new and existing pranksters and players alike get the chance to join in the fun of April’s Fools Day from April 1st thru the 8th with a chance to add 1000 Chicken Little Free Spins to their deposits of as little as $25. That’s no joke! Some are lucky to have never been the target of an April Fool’s prank. 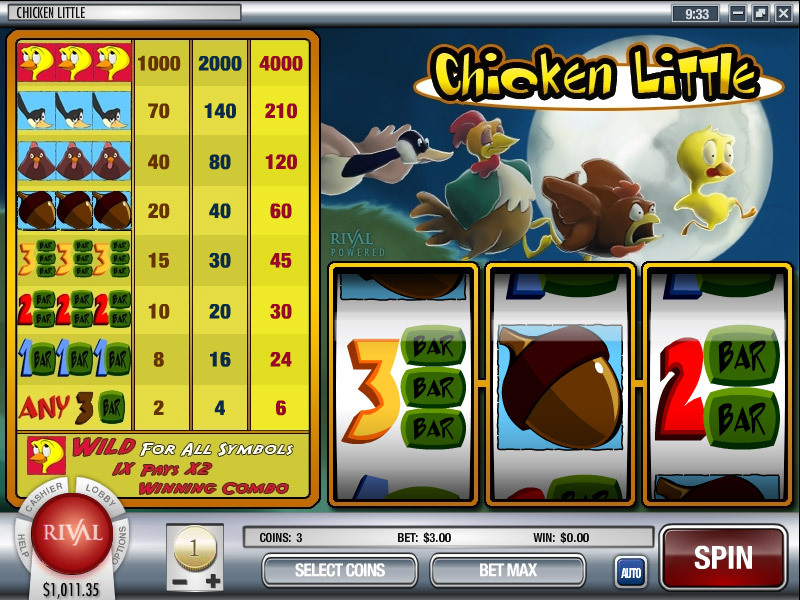 For Superior, 24VIP and 888 Tiger Casinos members, the luck continues as these casinos aren’t joking when they say new and existing players are entitled to play with 1000 Free Spins on the hilarious Chicken Little slot. Members that deposit as low as $£/€/AU$25, from April 1st through April 8th, will get the last laugh with 1000 extra added spins in their account. The promotion holds a 15x playthrough requirement before players can request a withdrawal with no max cashout. There’s a cap of 0.03 per spin and earnings of spins can be played on any slot to complete playthrough. Chicken Little, Henny Penny, and Ducky Lucky (and some rewarding Bar symbols) are all ready to save the world and defend it from an acorn. Sure, it seems like an easy feat, but Chicken Little has gone quite crazy after getting bonked on the head under an oak tree, so it’s time to help a chicken and his friends out. Before players find any eggs this Easter, they will be finding opportunities to collect massive wins. New and existing Superior, 24VIP and 888 Tiger members are invited to a golden prize hunt available all through the month of April. Winners are invited to easily find a 200% Easter Match plus 75 Free Spins on Eggstravaganza in their account. The bonus is sticky and holds a 33x playthrough requirement before players can request a withdrawal with a max cashout of 12x the bonus received. The Free Spins have a playthrough of 25x and a cap of $0.15 per spin with a max cashout of $250. Earnings of spins can be played on any slot to complete playthrough. 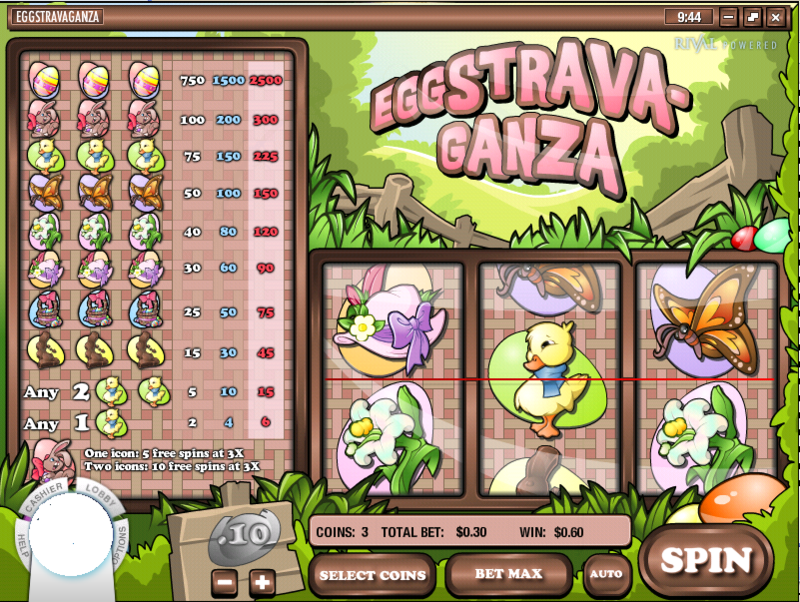 Eggstravaganza is everyone’s favorite spring-themed slot. This cute classic video slot game packs 1 payline and 3 reels loaded with special animations and will have players hunting for Easter coins in every single spin. Hunting for wins is easy with the Free Spins feature – first of its kind for traditional slot games. If you have a forum or opt-in mailing list, we would like to discuss with you on how to promote this new game with your members. Login to SuperiorShare and get your landing pages today!